Back in November I wrote about trading USDMXN and I think it’s time for an update. Today has seen the PA fall to its lowest level for a month where the previous low hit 18.74 give or take change. As I type it’s hovering around 18.82. Since the big fall from the 6th Dec high of 20.64 to the 17th Jan low of 18.87 we have seen a decent bounce to the 38.2% Fib retracement level of 19.56/60 area. We have stayed within this range since. For those who are interested in the formation there is a clear head and shoulders formed on the daily. This has played out fully. Another thing to note is the break and close of the March 2018 trend line. On the weekly however I wouldn’t be as confident as we have yet to see it close below. If this did happen, I would be more confident of 18.50 being challenged. As we can see on the weekly this is a big level and there are a couple of other trend lines worth noting. To me the 18.50 level is the big one with intraday lows of 18.43 from the relief of Amlo coming in as el presidente. That Mar 17 trend line doesn’t hold much credence to me. If 18.50 goes then the very obvious level is 18.00 where the much older April 2016 trend line comes in as well. So, these are good targets for shorts. What about the upside. Well, these are good levels to go long from. The carry holding longs however are very prohibitive. I generally play to the long side as a day trader not holding any longer than a week and that requires a good entry level to make it worthwhile. The top side trend line comes in around 20.33. What about the fundamentals? Well there is a serious crisis at the US border. Take away Trumps bluster and you have a humanitarian problem which needs to be addressed. You would think that it was mostly Mexicans and other central American countries but it’s people from all over the world. So, the threat of closing the border is very real. This would see a vertical line upwards on the chart as it would be very harmful to the Mexican economy. Perfect opportunity to fade IMO. There are other issues within Mexico to consider as well, particularly with Amlo being who he is. He has some ideals which scare the life out of investors. If any of these come to fruition then up we go, and quickly. His biggest challenge is Pemex, the state-owned oil company. It desperately needs investment and its debt sorted out. He has made promises that it will be. For that to happen he will need to open the market up to outside private help and influence. Not an easy job. If somehow, he pulls it off, investor confidence in Mexico would rocket, and rightly so. 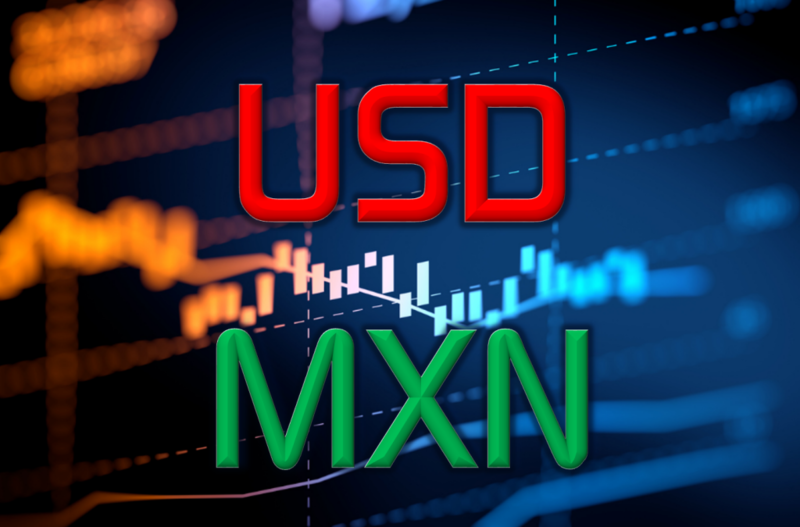 So, in summary, we are seeing a relatively calm period with Mexico thus the bid on its currency with its fantastic carry which is approx. $15 a day per lot v USD. We have a lot of support to chew through if we are to establish a new range and the risks to the upside are clear for those holding shorts with the threats of Trump closing the border (justifiably) and Pemex going into default on its debt. As ever treat this pair with respect with it being an EM pair with the liquidity thin at the best of times thus it being highly volatile when things turn wobbly. I’m still short and have been for 7 months now with my average due to the carry around 20.00. I have been jobbing around long and short moving with the headlines. Missed the shampoo (H&S) formation though, which is a shame but we can’t have them all eh? For regular updates on how I’m trading this pair, and to be part of a great community of traders who trade each and every day, join us in the ForexFlow trading room. Trading Pilgrim and founder of the Thomas Jordan Fan Club. Philosophy: "If you like gambling and adrenaline rushes in your life, do base jumping, not trading"